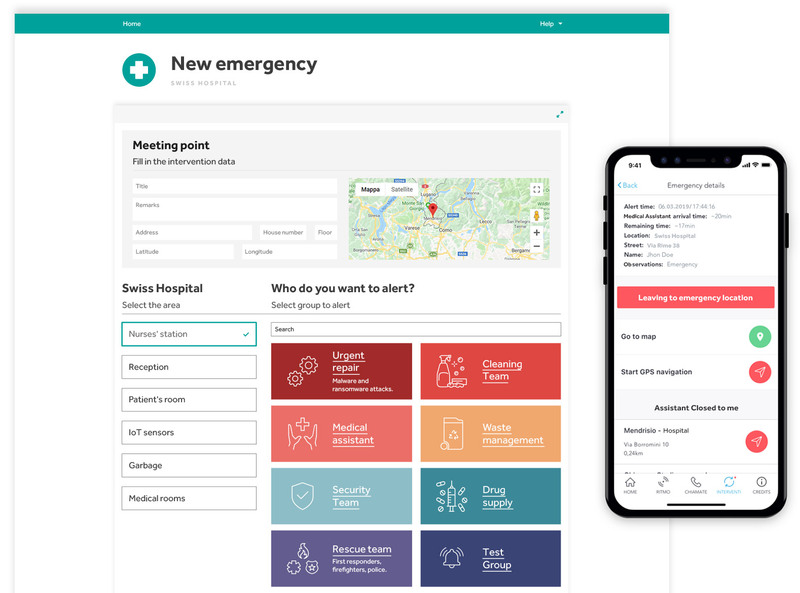 Momentum helps hospitals to alert and guide the right groups of responders in case of emergency such as major accidents or catastrophes, medical assistance, urgent repair or maintenance, drug supply, room cleaning, waste management, fire and flood. In the event of an emergency as accident or catastrophe, the dispatch center can contact the proper safety teams and transmits crucial information such as the location of the user and accident reports through calls, SMS and push notifications. When an internal emergency happens and requires medical assistance, firefighters, safety guard, technicians or cleaning operators, the reception can alert the right groups of responders in just a few clicks. 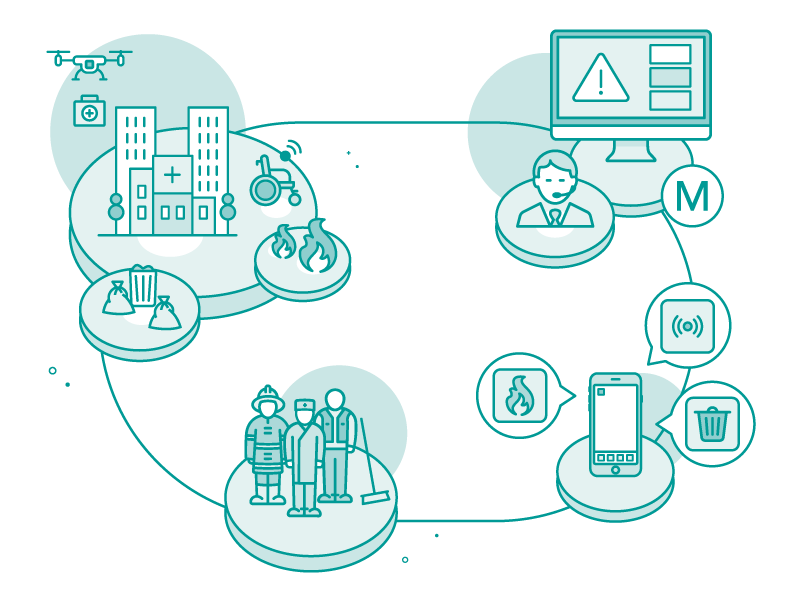 In case of an issue in a room, IoT sensors with action buttons can alert the right group of responders, such as medical assistance, cleaning operators, technical assistance, rescue teams, and waste collection team. Everything can be monitored and analyzed to understand where bottlenecks exist. Momentum automatically sends a notification to the right groups of responders on their preferred mobile device and communication channel. Responders can confirm their availability, get a confirmation from Momentum based on the maximum number of allowed responders and navigate to the emergency location. From the Momentum console, the dispatch center and the reception can monitor activated responders and communicate with them. Momentum can alert the right responders via SMS, E-mail, Phone, push notifications and pager. Momentum is sufficiently flexible and scalable to a specific incident response. Our platform allows a healthcare facility to choose which assets to activate in response to a specific issue. Designed to facilitate and enhance immediate communication between individuals and groups. It could be possible approved responders can communicate to a single individual or group via phone, email, text, alerts and push notification. Momentum provides a complete organizational chart with the assigned tasks for each role already identified. Key personnel can be named in advance for their specific roles and can study the EOP for reviewing their assigned tasks. When dealing with patients, time is essential. With Momentum notify the right people faster and more efficiently, increasing responsiveness and preparedness. Thanks to its simple function, Momentum can be used during all types of incidents, regardless of which personnel is physically present in the facility. 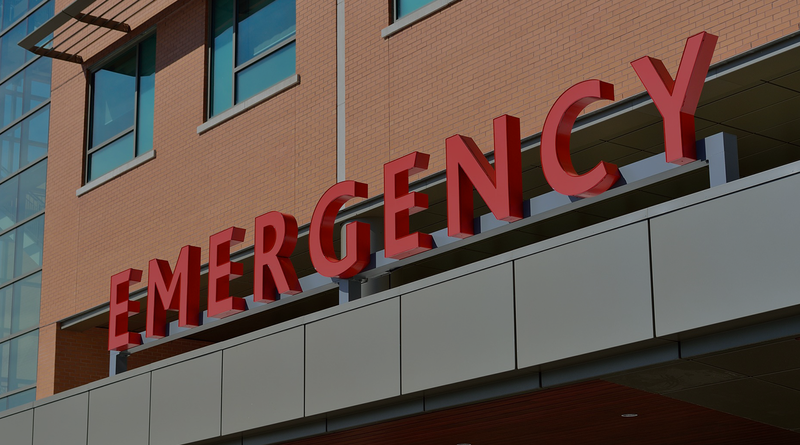 Momentum allows healthcare institutions to communicate and coordinate operations under a formalized management structure that fosters efficiency and provides direction during a response. Technology has its own limitations but has the potential to aid in relief-operations planning, management and analysis of after-effects for long term disaster management and for hospitals. Thanks to the integration with Momentum platform, IoT sensors for healthcare institutions improve the efficiency of treatments and accordingly improve the facility management. Momentum is an emergency management system solution which communicates and selects the best-suited rescue team to intervene and when you must closely monitor the events during incidents, crisis, emergencies or disasters. Our platform can be integrated with every dispatch center and can be also used to manage and monitor your vehicles. Offers the flexibility for planning, command, control, and communication directly with the people involved in special events, readiness exercises, incidents, and emergencies. A powerful tool for directing, supporting and communicating with many people with a simple and intuitive user interface. Tracks and locates critical service provider, patient, bed capacity and medicine to a better management of healthcare facilities. Momentum is used in Ticino by EOC to alert responders, nurses, doctors, and employees in case of emergency. Don’t hesitate to ask us for a demo. Email us directly momentum@dos-group.com or call us at +41916302009. We are a Swiss company with high standards in terms of quality and realiability. We will be back at you very soon.